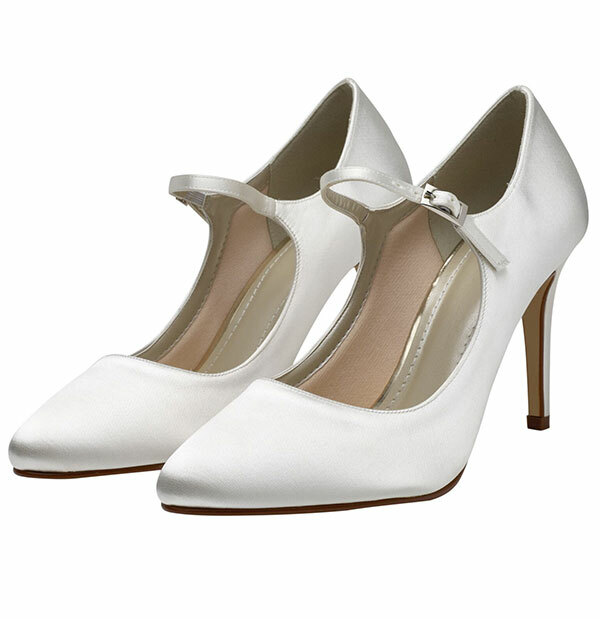 A pair of wedding or occasion shoes from Rainbow Club is an effortless choice, whatever style. Elegantly unadorned or exquisitely embellished? Vertiginous heels or fascinating flats? Timeless ivory or show stopping colour? After the big day, or before if desired, the shoes can be sent back to Rainbow Club and dyed in one of 10 colours so that you can wear them again and again. 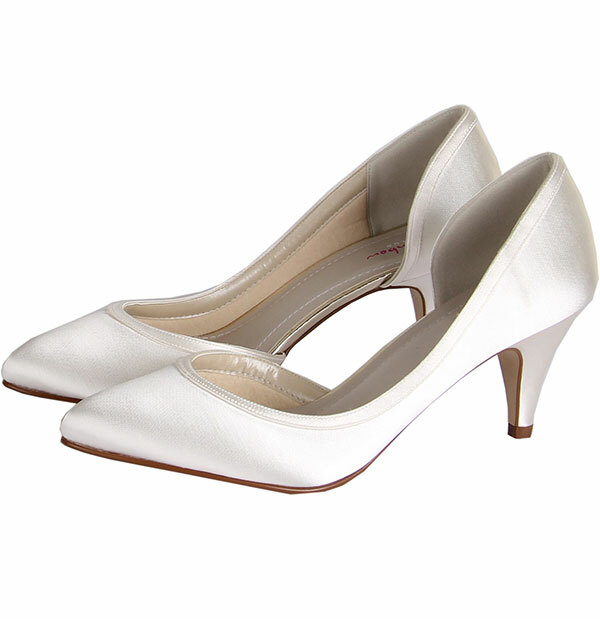 A graceful three quarter cut court shoe finished with a neat overlay. Shoes can be coloured to any shade. 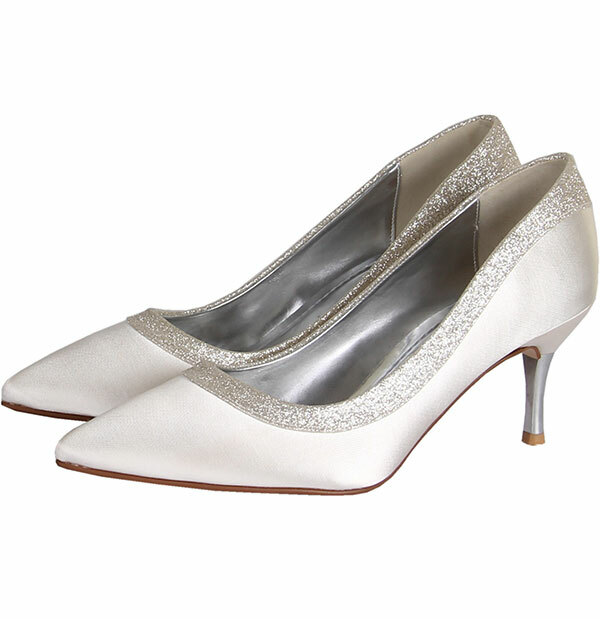 A super sleek court shoe finished with a crystal dusted topline and a chic slim silver heel. A dyeable stylish peep toe shoe with a covered platform and elegant pleated detail. A vintage looking satin, peep toe shoe with gold piping. 6.25cm heel height. Available to be dyed to any colour. 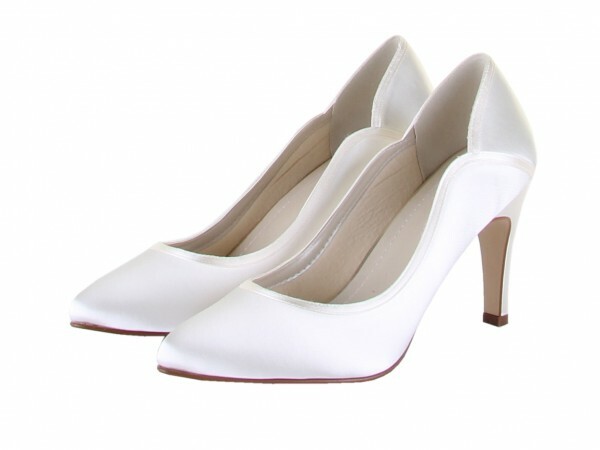 A classic and elegant satin court shoe. Made with padded lining and cushioning on the ball of the foot for extreme comfort. Available to be dyed to any colour by Rainbow. 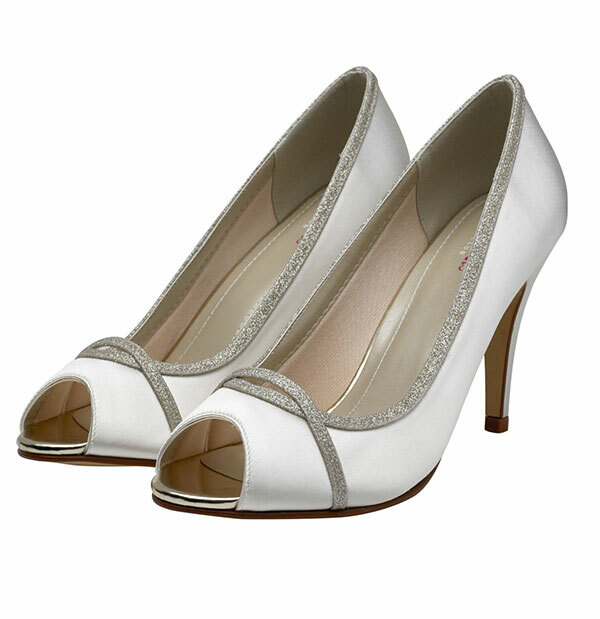 These peep toe high heels feature a silver shimmer overlay. They can be dyed to any colour before or after the wedding. Hana is an extremely comfortable, Mary-Jane style court shoe. They are gorgeous just plain, but you could add some shoe clips to add a bit of sparkle. A sleek peep toe in a champagne lustre with soft gold piping and stunning embellishment on the back. 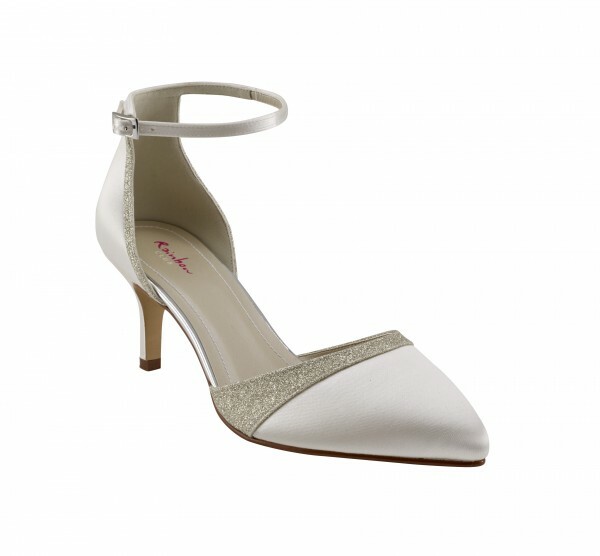 A dyeable satin court shoe with ankle strap and glitter feature. A stylish, sleek court shoe with glitter detail.